Adam's Paladin, Don Quixote de la Mancha, as seen in Elijah's From the Wizard's Tower. Born a nobleman, Don Quixote decided to live a life of adventure as an errant knight. Luckily he has some friends to help him along. 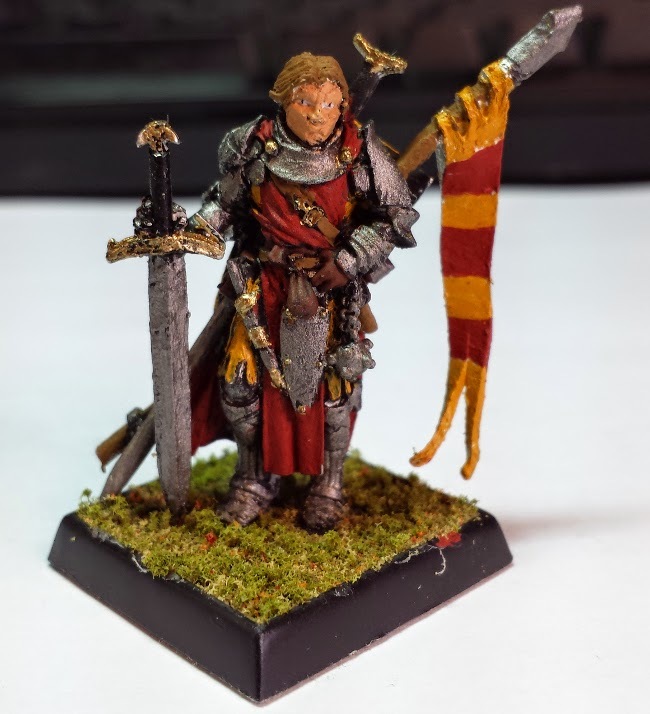 The mini is of course from Reaper Minis.